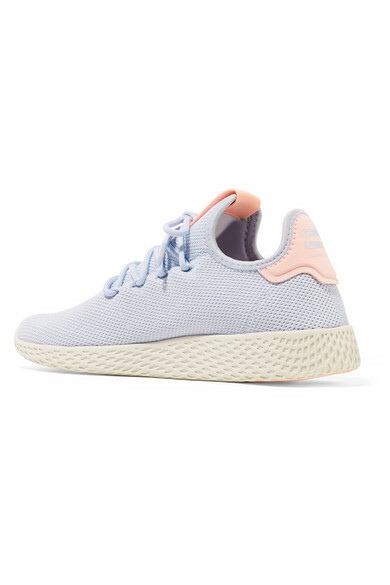 Designed in collaboration with Pharrell Williams, adidas Originals' 'Tennis Hu' sneakers are inspired by the laid-back vibes of Venice beach - even the sky-blue hue nods to Californian ice cream stands. 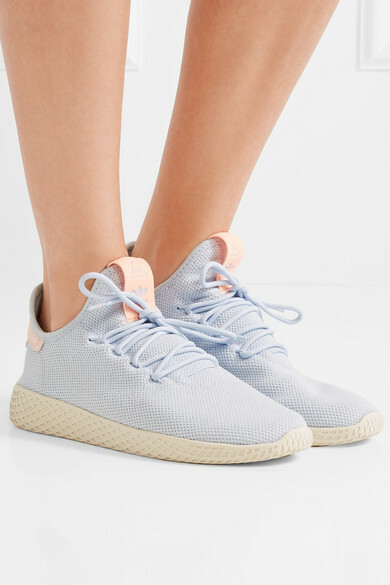 This pair has breathable Primeknit uppers and flexible rubber soles that offer plenty of traction wherever you wear them. 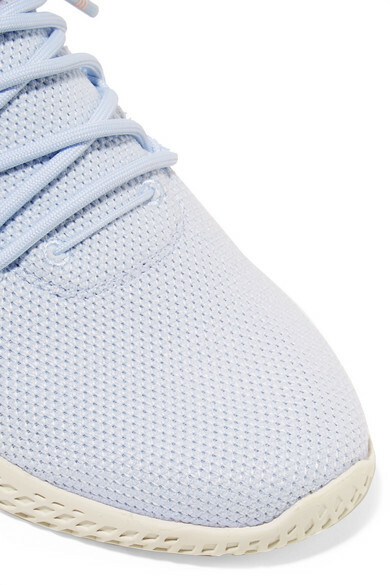 They look particularly fresh with white denim. 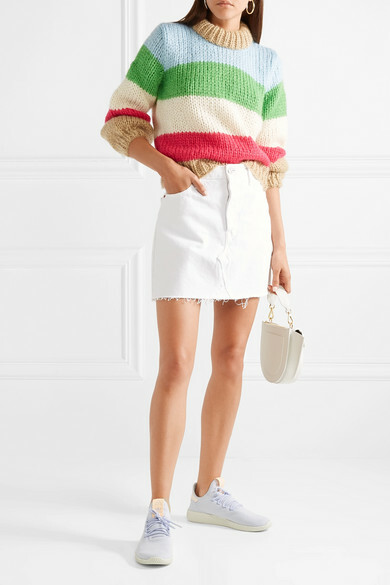 Shown here with: GANNI Sweater, RE/DONE Skirt, Wandler Shoulder bag, Jennifer Fisher Earrings.